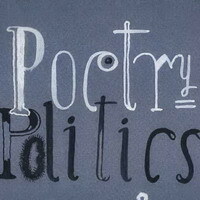 Poetry & Politics - David Hess, Poetry in a Time of Crisis. This is in reponse to comments by David Hess and others in the comment box to my post on the Poetry & Politics event held here Saturday. I meant to mention this in my original post, as a few people remarked in similar ways prior to the event on this same issue. The two observations that have arisen repeatedly are 1. of course poetry is not enough, any more than any other single thing is ever enough, and 2. poetry is always in a time of crisis, as crisis is an ongoing condition. The easy answer to this is that “Enough” and “Poetry in a Time of Crisis” were simply handily pre-existing phrases (Leslie Scalapino’s anthology in the first case and Charles Bernstein’s MLA panel in the second) to plug into the context of poetry & politics for the title of the event. Poetry, however, has not always had its special relation to crisis theorized in the same way in all historical periods and by all practitioners and readers. Adorno’s famous statement that lyric poetry could not continue to be written after Auschwitz, whether it is taken literally or rhetorically, has a particular force because Auschwitz and similar modern atrocities took on a particular force in public consciousness that hadn’t been possible before the innovations in the technology of genocide that brought it about (and the innovations in the technology of popular media that brought it to the world’s attention). Asking whether poetry is “enough” in an era of global terror and global capital does not necessarily solicit a yes/no answer. The event itself wasn’t really coordinated around the resolving of these definitions and interpretive cruxes—it was more of a general exposition of recent work, both creative and critical, that dealt with poetry & politics in various ways. Juliana did address Auden’s “poetry makes nothing happen” quote, as did a couple of other people, but mostly as brief metacritical asides. 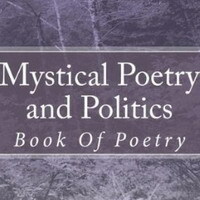 I don’t think anyone there was naive enough to believe that poetry can operate as an efficacious political instrument in a vacuum, or optimistic enough to think that we would arrive at any startling revelations as to ways poetry could be “improved” on some blanket level as a political tool. My own thoughts on the “is poetry enough?” question: I read it as “is poetry-as-usual enough?” with "poetry-as-usual" pointing both to dominant media representations and traditions of poetic practice (MFA workshop models, etc.) and to the pre-existing popular conception of the poet as a de facto opponent of war and political oppression. Heriberto’s statement spoke especially effectively (and bitingly) to this liberal fantasy. (Heriberto, any plans to post it on your blog?) Also, “enough” as “enough of what it could/should be” in the hands of the communities that are concerned with the topics addressed at the conference. One idea that almost threatened to emerge once or twice during the course of the day was the question of how we might take our politically-charged experimental practice out of what is sometimes its quasi-academically impenetrable box and make it more available/legible/desirable as a form of public discourse—a medium geared toward “inundation,” to use Eileen Myle’s term.